How can I end or archive a project? Learn how an active project can be archived or ended. 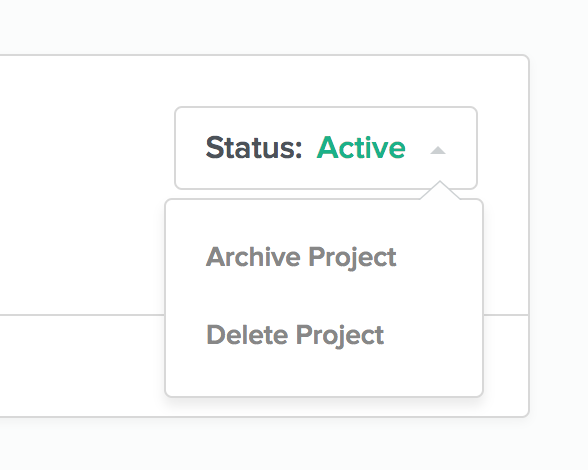 If you created the project, then you can visit the project, click the options link near the top, and select "Archive project". If you don't see the options link, then the project was created by the other party, and needs to be archived by them.